As we move along on our path to creating the simplest solution for running Docker in production, and giving developers an out-of-the-box continuous deployment and automation system for any cloud, we’ve added basic support for environments. Environments will be familiar to you if you have worked with configuration management systems, like Chef, in the past. 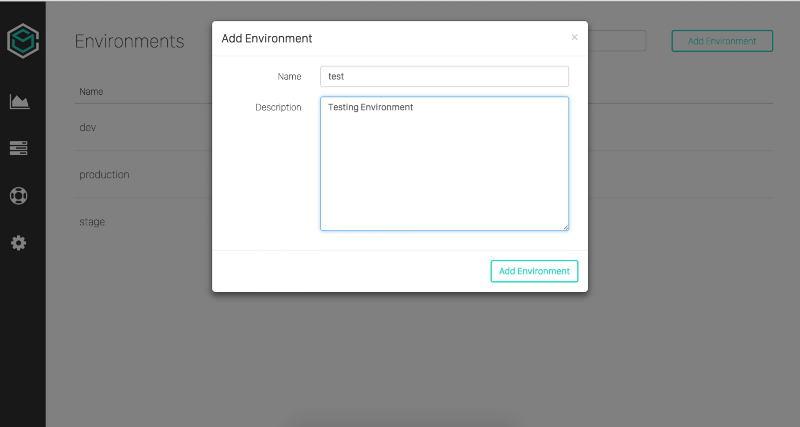 In the context of ContainerShip, Environments allow you to organize your per cluster settings and configuration easily, and manage user permissions between test, development, staging, and production. 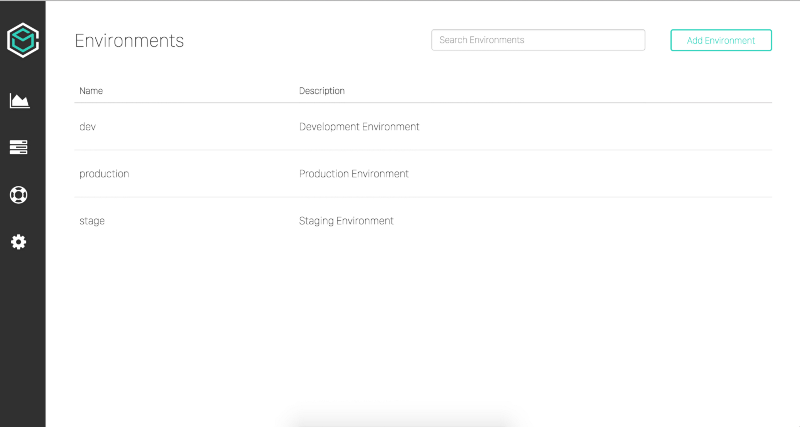 There is a new section in the Infrastructure navigation menu for Environments, click on it to access the Environment overview. Click on Add Environment to get started, then give the environment a name and a description that will help to identify it. Once you click on the Add Environment button, the new Environment will show up in the list. Once the new environment has been added, you can assign a cluster to it. To do so, visit the Clusters view, and click on the cluster you would like to assign to the new environment. 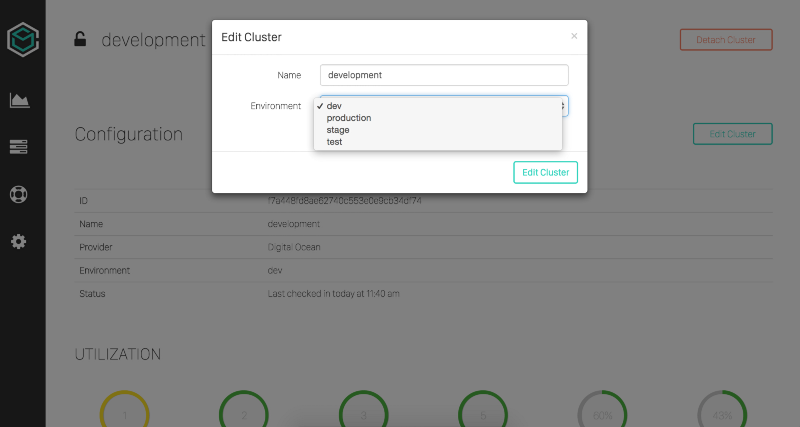 Once in the detail view for the cluster, click on Edit Cluster and select the correct Environment from the drop-down. Environments can be thought of as tags that are specific to your clusters. We are working on modifying our user permissions capabilities to make it so that granular permissions that allow users access to only certain Environments or clusters. Want to learn more about ContainerShip? Check out our website and officialdocumentation.